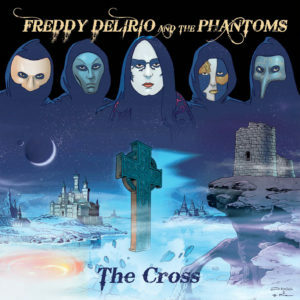 DEATH SS keyboards player FREDDY DELIRIO and Black Widow Records present a new project called FREDDY DELIRIO AND THE PHANTOMS. The debut album “The Cross” will be released as LP and CD on April 12th 2019. Get the single “Guardian Angel” on iTunes. Today, the band unveils also the first single “The New Order”. The band’s explosive sound and fantasy / horror stage presence show the brilliant and uncontrollable talent of Freddy, as singer and multi-instrumentalist. He is a creative artist and a skilled musician. The album features high level songs, driven by unforgettable melodies. But also refined highlights will remind you a gothic movie, full of creepy atmospheres. FREDDY DELIRIO AND THE PHANTOMS lyrics tell ghosts stories from an ancestral timeless dimension. These souls never die and walk through this dimension where we bring our karmic cross, living our life on this planet. So this is the band’s philosophical sense. Freddy plays DEATH SS’ Phantom of the Opera in a more bizarre way. FREDDY DELIRIO explains: “We talk about several life experiences, connecting with a dimension often neither tactile nor human. Ancestral love, infernal circles opposed to the world of Hyperuranion, relics of previous civilizations where the noble principles should be rescued. These surreal and often sinister atmospheres give rise to a sound from another dimension”. 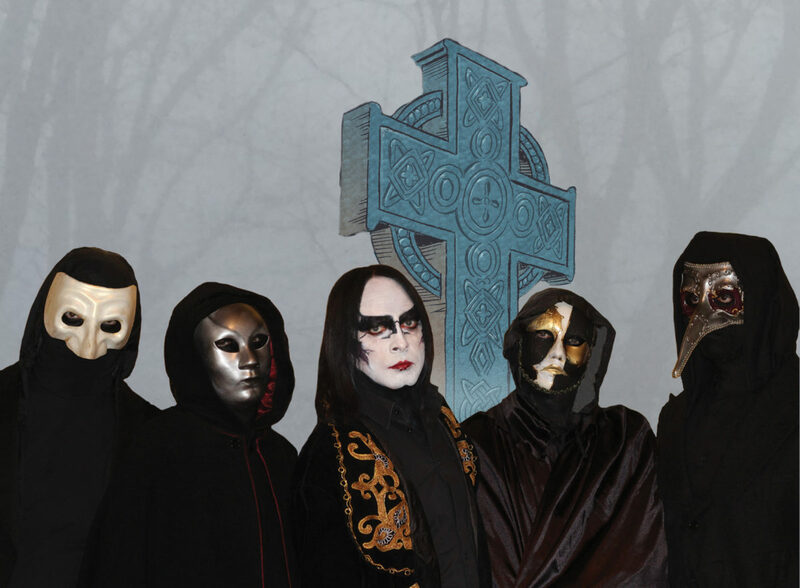 FREDDY DELIRIO AND THE PHANTOMS rock, prog, and cosmic music will appeal to OPETH, DREAM THEATER, PINK FLOYD, GHOST and, of course, DEATH SS fans. The album will be available also as limited edition colored vinyl with stickers + poster.